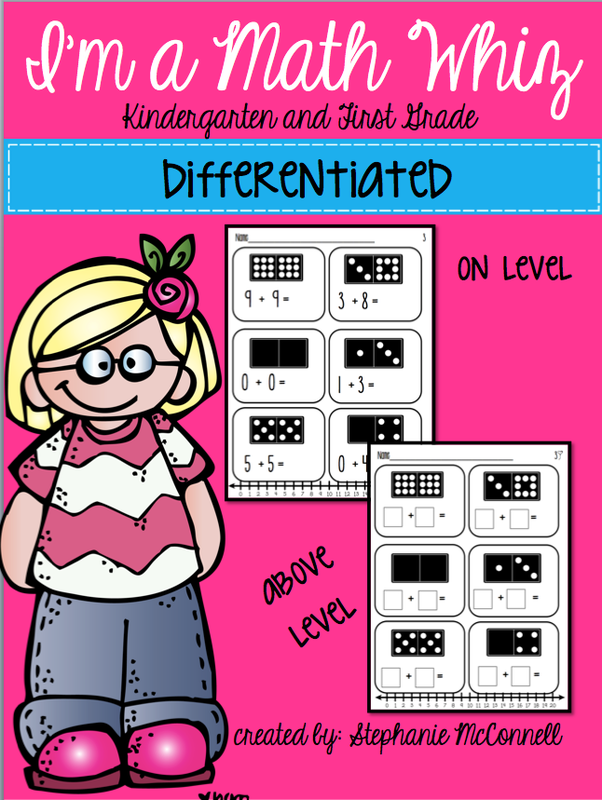 Differentiating in any subject can be hard to do. Everyone has varying levels of students in each class. I created this I'm a Math Whiz packet just with that in mind. The skill and focus: addition. 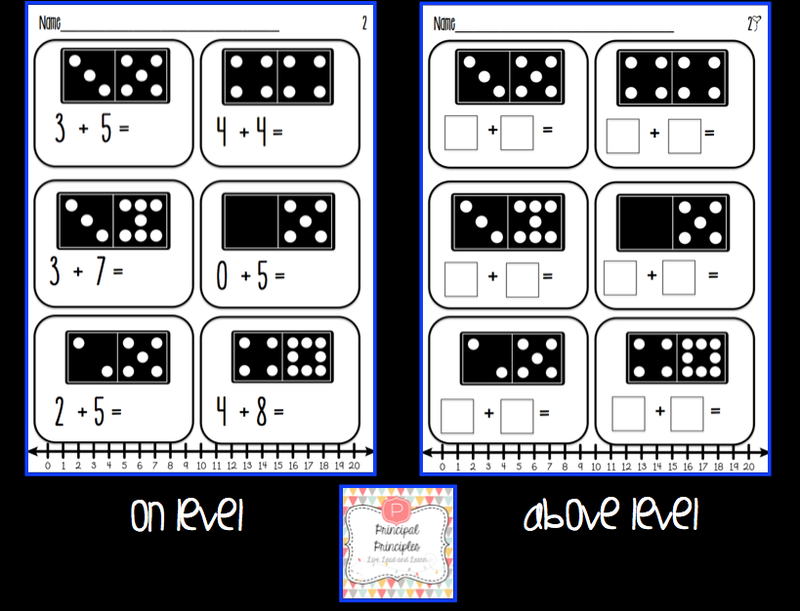 The students use dominoes, ten frames, dice and counting fingers clipart to determine the total or sum of each answer. Check out how I differentiated the packet. There are so many possibilities with these printables. Also, I think it is a time-saver on teachers. No more searching for more or different things to challenge or extend your higher students. Grab your copy of I'm a Math Whiz here.